You are here: Home / Enduro / Don’t Let Sanders’ Smile Fool You. He Means Business at Dungog. With a mountain of success behind him and an undeniably fantastic weekend at the opening rounds of the 2019 Yamaha Australian Off-Road Championship (AORC), Daniel Sanders (Husqvarna Enduro Racing Team) is a powerhouse that needs no introduction. Third place holder of the 2018 FIM International Six Days Enduro (ISDE) Outright title and second place in the 2018 ISDE E3 class, Sanders is in a league of his own as he barrels into corners with a ferocity that is utterly contrasted by his larrikin personality in the pits. With a perfect 2018 season in the E2 class, Sanders has moved on up to E3 for 2019 seamlessly, taking out back-to-back class wins for Rounds 1 & 2 in Toowoomba, Queensland. Finishing Sunday’s steamy affair with just over three minutes up his sleeve, Sanders moves into Round 3 & 4 in Dungog, New South Wales with an irrefutable spring in his step. Sitting down with Motorcycling Australia, Sanders reflected on Toowoomba, his 2018 drama’s in Dungog, his comradery with teammate Fraser Higlett and his plans for the remaining 2019 season. We’ve seen you change bike capacity over the past few years. Do you enjoy these changes or would you prefer some more consistency? I love the 2 Stroke bike but I do also love the changes I’ve experienced each season. It keeps the racing interesting and different, as opposed to the same thing day in and day out. I found that even when I rode a 2 Stroke for a few years consistently, we continued to work on the bike to get faster and faster which in its own right was like riding a new bike. Toowoomba treated you well with back-to-back class wins in E3. How did you find the new location and tracks, especially with it being the opening rounds of the season? Toowoomba was awesome! The track and venue were fantastic, and it holds a lot of potential for future seasons. The conditions, especially the heat, made it tough so you just fought to keep cool and focussed. Considering it was the opening rounds, the conditions really proved everyone’s fitness skills that were worked on in the off season. Last year in Dungog you experienced some issues across the weekend but finished on a high note with two class wins. How are you feeling coming into Dungog this time around? 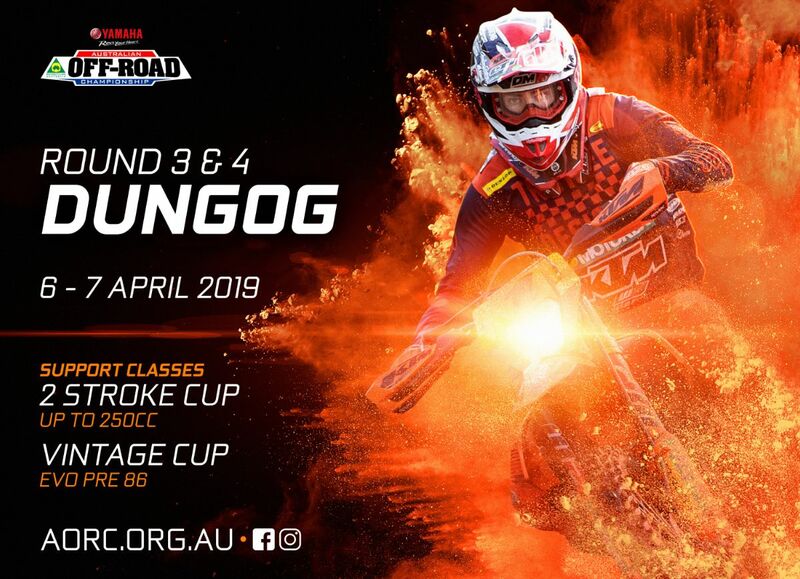 There were definitely a few dramas at Dungog last year, but I’m looking forward to the upcoming rounds with an Enduro format. As opposed to last year I’m feeling really confident coming into this round with, even with the challenging conditions that Dungog presents. 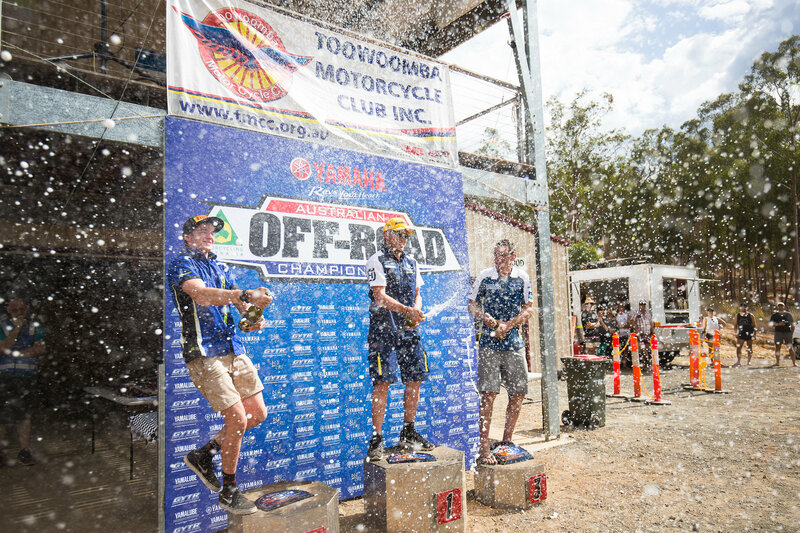 Last year made for a pretty funny story, with all the dramas that came about across the Dungog AORC weekend. Basically, I blew a fuse out on the track and had to get the bike started again. I was really tight on time, so once I diagnosed the problem – thanks to the help of other riders – I pinned it to the finish line. It was a tough day in the office, that’s for sure, as it was basically a 50/50 chance on whether the bike would make it to the finish line or not! 2019 marks your second year with Husqvarna alongside Fraser Higlett. How do the two of you work together, both on and off season, to ensure you are the best team you can be? The team made up of Fraser and myself is nice and simple, we’re healthy and positive and it’s great to be working together for a second year. Our main effort is to keep each other positive when we’re not performing at our best, and head into the following round fresh and driven. Most importantly we just try and have as much fun as possible to keep the spirits high. It always helps too that Fraser and I have a really close bond, which makes working together really easy. I see Fraser as one of the most naturally talented riders on the field and a strong contender for the 2019 E1 class title, as long as he keeps working hard and staying focussed. Tell us more about your goals for 2019. Main goals are to finish on top of the E3 class, stay healthy and ride the way I want to ride. I still need to continue working on my strength and fitness to take out the class win! I’m also hoping to be a part of the 2019 Australian World Trophy Team for the ISDE and see if we can get back-to-back wins! It will be really exciting to see who makes it onto the team this year, especially considering how strong the field is this year at AORC!